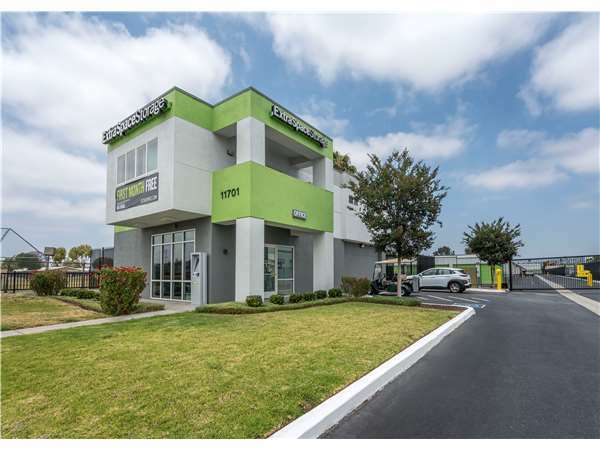 Located on Slauson Ave. between Norwalk Blvd. and Sorensen Ave., Extra Space Storage serves Santa Fe Springs, South Whittier, Los Nietos, and Pico Rivera. Locals will recognize our facility across the street from Los Nietos Library next to Aeolian Elementary School. We're also accessible for residents of nearby apartments, such as Citrus Court Apartments, Duchess Terrace Apartments, Governor Apartments, Pioneer Gardens, Placita Park Apartments, Milton Court Apartments, and Contessa Apartments. Looking for that little extra?? Well search no further 100% friendly, helpful and easy in & out access. Christina was the best in helping me with my situation at hand. Also very clean ?? I'm very satisfied with my overall experience with Extra Storage Space. No regrets!! Just keep doing what you're doing.an excellent job. I made a reservation online, after which I received a confirmation call from the office...showed up a day or 2 later and everything went smoothly. Signed the papers, was shown my unit, got the gate code and I was off & running. Note: Insurance is required at an additional cost, depending on your level of coverage. Check these guys out before you decide. I chose this location based completely on price and have been especially pleased this is NOT some shabby discount storage. Access from two major streets, CLEAN, lots of size & location options at this site. Super helpful & courteous staff. Great lighting inside & out, I don't feel overly concerned about my safety after hours. Also the indoor temperatures are not extreme. Great for furniture, Musical and other sensitive equipment. In the three + years I have been using this service, I have been treated very fairly, there is always someone there to help, the security is great, and I have never had any kind of problems. They charge a fair price, the lots are always clean, and I have been very happy with my choice of "Extra Space" for my storage needs. I am pleased I chose this property over several others in the area. It is well located, I was able to find the unit size I need, and at an affordable price. The property is well maintained, offers great hours & easy access. The hallways are well lit, and parking is ample. Take 605 South exit Slauson Ave Turn left turn on Slauson Ave. Make a U Turn at Sorenson. Facility is on the Right side of Slauson next to EGGE Machine Co. and before you reach Aeolian Elementary School. Take the 605 North Exit Slauson Ave Right turn onto Pioneer Left Turn onto Slauson Make a U-Turn at Sorenson. Facility is on the Right side of Slauson next to EGGE machine Co. and before you reach Aeolian Elementary School. Coming from Whittier and Santa Fe Springs take Slauson Ave West. The facility is located just past Allport on the right side of Slauson Ave. next to EGGE Machine Co. and before you reach Aeolian Elementary School. From Pico Rivera and Whittier take Slauson Ave East toward Uptown Whittier.Make a U-Turn at Sorenson. Facility is on the Right side fo Slauson next to EGGE Machine Co. and before you reach Aeolian Elementary School.